What an amazing year we have had at Pinnacle! We had so many great moments. One of our highlights was the fact that Pinnacle Promotions celebrated our 20th birthday this year! We threw a party, we had personalized balloons, we had custom sunglasses, we gave the Pinnacle entire team promotional t-shirts. We held a contest and gave away an iPad in a branded tablet cover as a Grand Prize, and logo’d Bluetooth speakers as a First Place Prize. All of this to say, will any of these promotional products be around 20 years from now? Turns out the answer might just be YES! The value of a promotional product never goes out of style. The average promotional item is kept for 6.6 months, according to the Advertising Specialty Institute’s Impression Study (link). And in this case, some are kept for more than 20 years! Look around; do you own a promotional product that you have had longer than 6 months, a year, 5 years, even 20 years? If so, snap a picture and post it to our Facebook wall at facebook.com/pinnaclepromotions. What’s the shelf life on a #promotionalproduct? 20+ years! 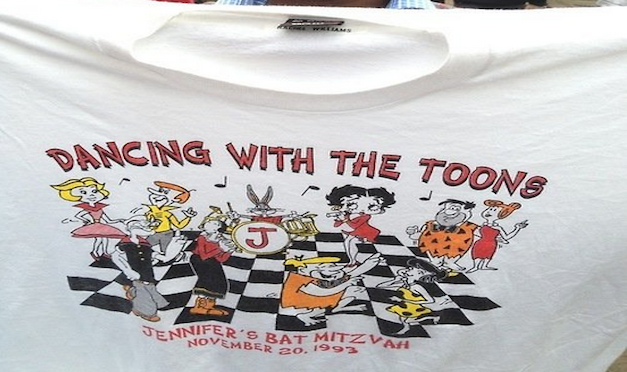 The 20 Yr Old T-shirt! 5 Questions to Celebrate our 20th Birthday! Megan’s Product Pick: Mini Stripes!